It's a Texas Summer alright, complete with humidity and West Nile Virus carrying mosquitos! But, I like summer, yes I do. Time to splash around in the pool and camp outs and fishing and well...you get the picture. This week is my daughter's baby shower. I've been busy planning that and so many other things (as usual). But I wanted to share with you the cute invites I made. So simple and inexpensive. She inspires me so much! The patterned paper was cut so it could fit in some envelopes I had on hand. Then I simply cut some ribbon, made the little bow and glued it with a glue pen onto the cardstock. the font is called "fancy" font from Jones Design Co. I'm giving away a wonderful prize for July! A super great way to keep yourself organized! 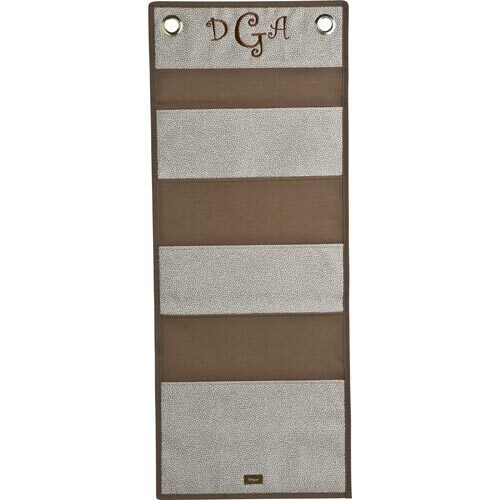 This can easily hang on a wall or door to store magazines, homework, mail and more. It has five pockets and two grommets for easy hang-up. The winner's will have the words "Family Plan" embroidered on the top. What a great way to keep all your summer plans in check. That will get you one entry. Post this giveaway on your facebook page, leave your link in a comment and that gets you 2 entries. Super adorable! I love everything about them~the colors, the baby carriage, the mama. One lucky baby! 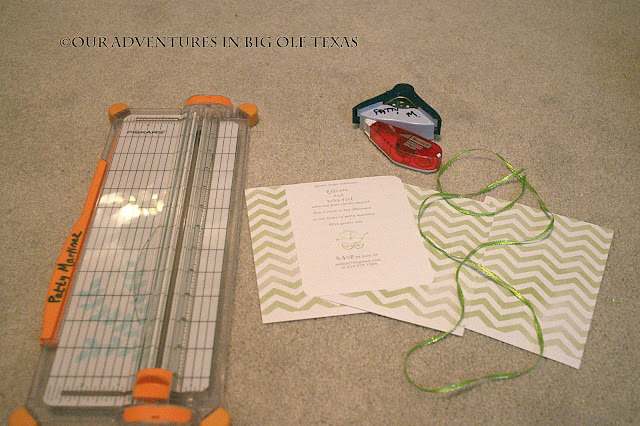 The chevron pattern is 'in' right now... so, definitely a great background choice for your invites. I also appreciate how you took the time to punch-round the edges of the cardstock to give the invites a more finished look rather than just slapping the two pieces of paper together. 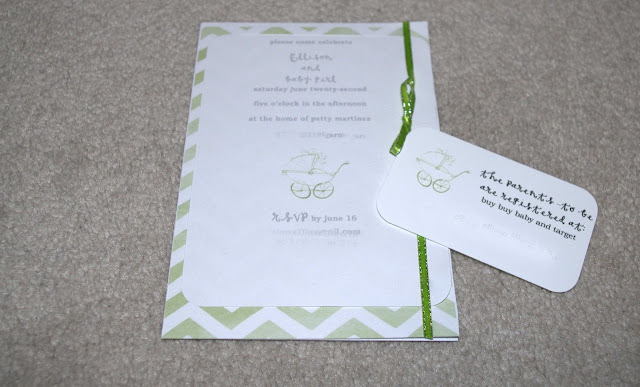 I really like how you used the sparkly edged green ribbon to top off the invites. They have such a cute and classy scrapbook look to them; I know I would personally struggle to throw an invite like this away even after the event. Awesome work! ***I just had to pin these invites on my Pinterest, and I cannot wait to make similar ones. Thank you for posting these on your blog! 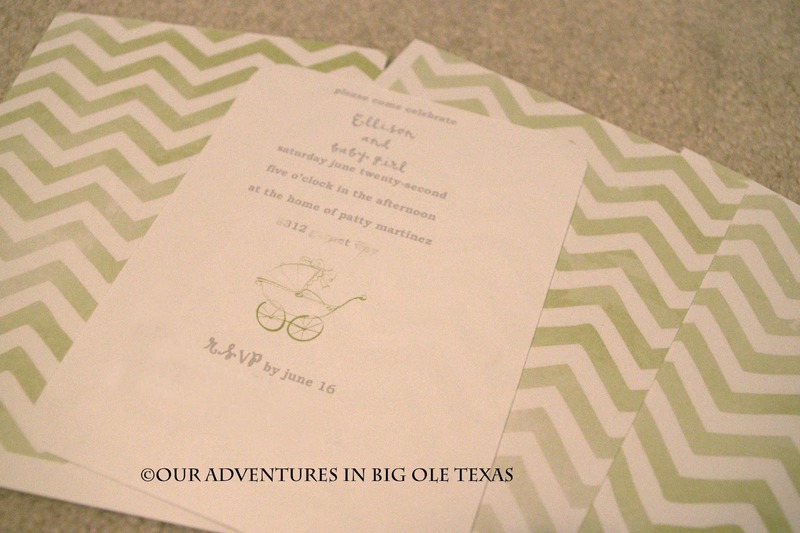 LOVE the chevron pattern and the green color - they are precious! and i love the added registry card - thanks for sharing!